As in Syria and Iraq, Yemen portrays yet another example of an internally imploding state in the Middle East whose conflict is by and large connected to a growing insecurity syndrome that plagues regional players. Without disregarding the internal power struggle in Yemeni politics between the Zaidi Shia Houthis and the pro-Saleh forces on the one hand and the pro-Hadi forces on the other, the war in Yemen has transgressed the lines of local politics and is now solidly fixed into the wider Middle East security conundrum. The question is whether the main regional actors in Yemen that is, Saudi Arabia and Iran could possibly opt for a resolution of the conflict through diplomacy and negotiations? The short answer is that this does not seem feasible even in the long-term. For the time being, the Syrian and Iraqi precedent places Iran and Saudi Arabia in a prisoner’s dilemma mind set. They both presumably understand – given that they are rational actors as the prisoner’s dilemma assumes – that the current situation in Yemen, Syria and Iraq is enmeshing them in a vicious circle of war politics that will drain them politically, diplomatically and financially, while the region slides into more chaos and political fragmentation. However, their fear is that if they pursue a political solution that requires long-term commitment, it is the other party that will rip off short-term gains from military operations on the ground that are conducted either through proxies and/or directly by themselves. This fear outweighs any calls for a peaceful resolution of the conflict in Yemen. Saudi Arabia and Iran seem to prefer Yemen to look more like Syria rather than fall under the sphere of influence of the “other”. In other words, this is a race to the bottom. Therefore, it would be plausible to suggest that without the strong intervention of international actors on diplomatic level, such as the UN, US, EU, Russia and China, the country is heading down the path of disintegration with no possibility for a political solution and the restoration of a legitimate central government in the foreseeable future. After the resignation of Ali Abdullah Saleh, the long-standing President of the Republic of Yemen, in November 2011, the country had a chance to build on the feelings of unity that were fostered among protestors on the streets of Sanaa, Taiz and Aden while rallying against his authoritarian and corrupt rule. This was a unique moment in the history of fragmented Yemen whereby elements of its diverse political, socioeconomic and religious fabric came together to demand Saleh to surrender power. It was the time when competing groups, such as Houthis and members of the Islah party protested together at “Change Square” in the capital of Sanaa and when protestors in the southern city of Aden carried Yemen’s unity flag, instead of the former People’s Democratic Republic of Yemen, the southern state that existed before the unification of the North and the South in 1990 (Day, 2012: 279-284). Subsequently, in February 2012, Abd al-Rabo Mansour Hadi, the long serving vice President of Yemen, replaced Saleh but to no avail. In recent months, factionalism has taken its toll; forces loyal to Hadi and the Houthis, fought a snap civil war during which pro-Hadi forces melted away. From September 2014 until March 2015, the Houthis managed to occupy the biggest cities of the country from north to south, such as Sanaa, Hudaydah, Dhamar, Taiz and Aden. In March 2015, Hadi fled the country to Saudi Arabia. Despite international pressure on the Houthis as well as the Saudi-led air operations, they have managed to retain their grip over the biggest cities of the country, while the Yemeni population is suffering from the effects of the war. There are reports that Iran is continuously trying to support the Houthis. It is difficult to know exactly how much they have actually contributed to their military and economic capacity, but at the same time it is difficult to imagine how they could retain control without external support. 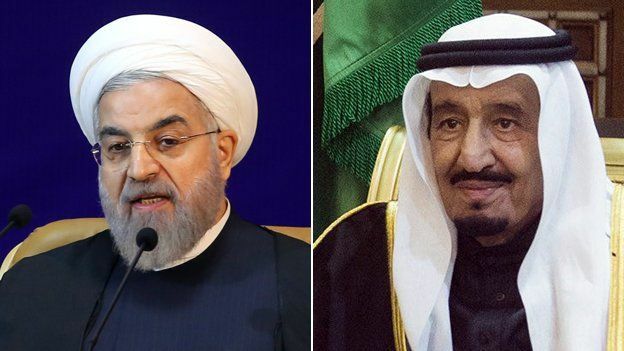 Given the direct and indirect involvement of Saudi Arabia and Iran respectively, the question that arises is what are the odds for a peaceful resolution given the current diplomatic and military situation? One cannot be optimistic about the prospects for a peaceful resolution of the conflict and the establishment of a central government that will keep the country united. Left alone, in a few months’ time, Yemen will resemble Syria with a distressed population dependent for their livelihoods on local militias, and the intensification of a war that is fed more and more by sectarianism and the military intervention – direct or indirect – of regional stakeholders. In addition, human calamity is bound to increase with thousands of internally displaced people and refugees fleeing their homes in order to escape the war. There are strong indicators pointing towards that direction. Although the Yemeni political crisis and the civil war that followed occurred initially as part of Yemen’s internal dynamics, such as the deteriorating relations between the political centre (Sanaa) and the periphery (Houthis in the north) as well as the socioeconomic cleavages between the political elite and the rest of the population, the military intervention of the Saudi-led coalition as well as the Iranian military and diplomatic support to the Houthis have changed the nature of Yemen’s conflict. The war in Yemen is not a local phenomenon anymore dependent on internal dynamics and the particularistic history of the country. The conflict is now part of the wider nexus of regional dynamics that are fed also by the conflicts in Syria and Iraq. 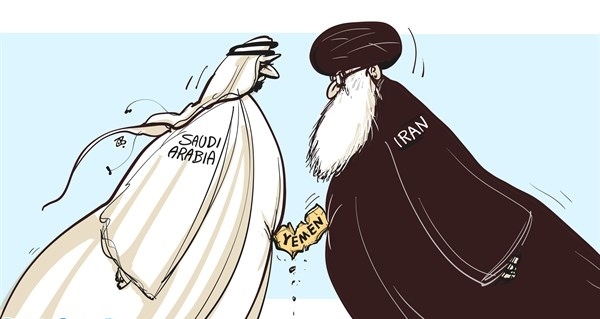 The consequence is that as time goes by, Saudi Arabia and Iran will be suffering more from the prisoner’s dilemma, whereby the two countries are the “prisoners” and lack of trust, regional complexity and uncertainty due to the multiplicity of crises are their “prison”. The dilemma makes a good case about how the lack of information for and uncertainty of each other’s behaviour can push two rational individuals into making optimal choices in terms of their individual interests, but which in fact can undermine collective outcome. Although the prisoner’s dilemma refers to the behaviour of individuals in lab conditions, there are some parallels that one can draw for states’ behaviour without of course disregarding the complexity of decision-making. What a prisoner’s dilemma reading of the situation in Yemen and the wider Middle East, including Syria and Iraq, tells us is that in this atmosphere of regional volatility and high stakes for Saudi Arabia’s and Iran’s national security, it is highly probable that they will opt for policies and means that keep them presumably on the safe side of the regional conundrum; that is to strengthen their military positioning in the different fronts of the Middle East through proxies and/or direct interventions contingent on the actual developments on all three theatres of war at the same time. Therefore, analysing the regional stakeholders’ behaviour and especially their commitment to negotiations or further escalation requires not only focusing on their preconceived particularistic interests for each of the different cases but also on how the situation in these different fronts evolves. At the moment, the developments in Syria and Iraq show that there is no clear winner. On the one hand, Iran’s most important ally in the region, Bashar Al-Assad is gradually losing the civil war in Syria. On the other, Abadi’s government in Iraq is unable to defeat ISIS with its regular forces and the support of the US, giving Iran the great opportunity to increase its influence over Iraq weakening significantly any prospects for actual power sharing in federal Iraq among the Shia and the Sunni Arabs and the Kurds. Yemen, located in the “soft belly” of Saudi Arabia, is controlled by the pro-Iranian Houthis. If Iran solidifies its influence over the Houthis, this would mean that the country can be used as a bargaining chip against Saudi influence in Syria and other parts of the Middle East. Therefore, Saudi Arabia would do everything in its capacity to avert this possibility and Iran would potentially try to win over Yemen in order to counterbalance any losses in Syria. Therefore, uncertainty in different fronts makes it impossible for the two countries to commit to a peaceful solution in the case of Yemen. The role and the responsibility of the international community, including the UN, US, EU, China and Russia, is great when it comes to breaking the barriers of communication between the regional stakeholders of the Middle East. Especially now, after the historical agreement between the P5+1 and Iran on the nuclear issue, it is more possible to imagine international mediation taking place. Building channels of communication between Saudi Arabia and Iran gives them the opportunity to consider other modes of conduct when facing humanitarian disasters with long-term financial and security consequences for the region and themselves. Certainly, for now at least, the two countries appear to have completely diverging interests but it was not long time ago when Germany and France were in a constant state of war. It is through dialogue and good will for building a common understanding that geopolitical disasters can be avoided. There is no other alternative to it. Day, Stephen W. (2012). Regionalism and rebellion in Yemen : a troubled national union. Cambridge: Cambridge : Cambridge University Press.